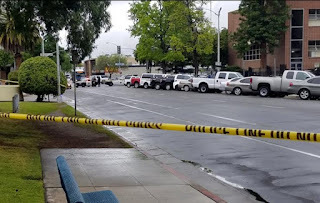 A crazed gunman killed three people in downtown Fresno yesterday. Sadly, murder isn't a rare occurrence in Fresno or in most big cities across our nation. Tuesday's tragic killing made world news, however, both because there were multiple victims and because the shooter, an African-American man, was targeting white men. 1. Take time NOW to tell people how much you care. No one is ever 100% safe. I don't say this to make you cower in fear. Just realize the fragility of life. Kiss your spouse when you say goodbye. Hug your kids or your parents as much as you can. Don't leave conflicts unresolved for long. There just are no guarantees in life. Cherish the relationships you have, and let people know how much you appreciate them. Who is Revelation written for? Does it talk about the end times? How should we interpret it? The Book of Revelation is without doubt one of the Bible's most difficult books. It is filled with apocalyptic material that confuses modern, Western readers. We don't speak in such symbolic language today.